Nissan's go-anywhere pickup truck has just received a sleek makeover, as well as a plethora of standard equipment. Called the N-Guard, the special edition trim for the Navara gets the blacked-out treatment inside and out and is available in three distinct colors. Beginning with its exterior, the Navara N-Guard's front grill, foglight surrounds, side mirror caps, door handles and rear bumper are all painted black. Also installed on the N-Guard are side steps, roof rails and 18-inch alloy wheels which are also finished in black. Finally, the interior of the headlights have been darkened as well to match with the N-Guard dark theme. As mentioned earlier, the N-Guard will only be available in three exterior colors: Metallic Black, Storm White and Twilight Gray. To make it even more unique, the N-Guard also comes with unique decals that are placed on the front doors, near the load bed and behind the rear wheels. Inside, restyled leather and cloth seats are available for the N-Guard. The seat cushion and backrest inserts are trimmed in a new dark gray / yellow design that is complemented by yellow contrast stitching. This is then replicated on the N-Guard's door trim and floor mats. They have a geometric design which mimics that of the exterior decals. Driving the Nissan Navara N-Guard is a 2.3-liter dCi twin-turbo diesel engine that is available with either a six-speed manual or seven-speed automatic. The engine generates 190 PS along with 450 Nm of torque. Like the standard versions of the Navara, the N-Guard special also comes with the following safety kit: hill-start assist (HSA), hill-descent control (HDC), vehicle dynamics control (VDC), 360-degree around-view monitor (AVM), anti-lock brakes (ABS) and a host of airbags. Should you want the N-Guard kit for the AT32 Navara by Arctic Trucks, Nissan can install it for you. 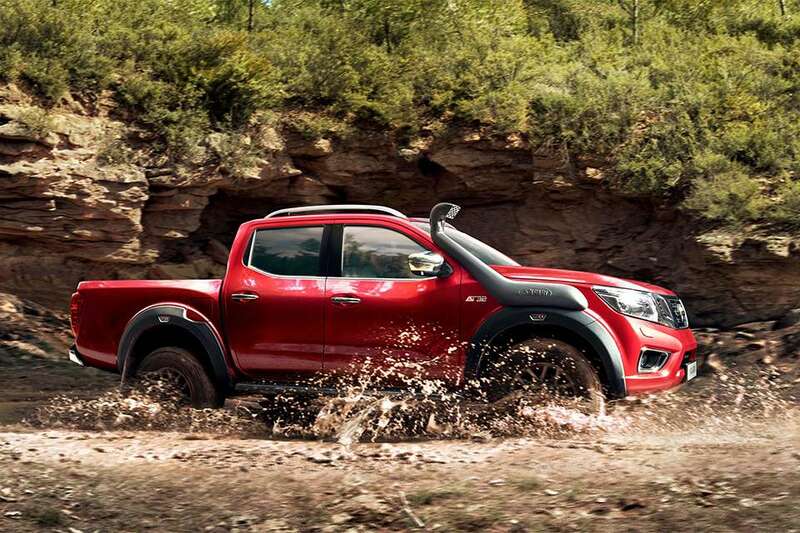 First launched back in April 2018, the Navara Off-Roader AT32 is a 'beefed up' version of the pickup truck and gets a plethora of 4x4 upgrades. It packs a 20mm suspension lift kit, skid plates for improved underbody protection, 17-inch alloy wheels wrapped in 32-inch all terrain rubber and bespoke fender flares. The N-Guard gets its name from the stylish and futuristic-looking Navara EnGuard concept which debuted at the 2016 Hannover Motor Show. Billed by the company as a tough and durable all-terrain pickup', it was designed primarily for emergency units and first responders. It comes with larger tires, 50mm increased ride height, wide overfenders and a fully-loaded bed filled with two-way radios, oxygen tanks, life jackets, ropes and resucitation kits. It even gets portable battery packs that can power emergency equipment like heavy-lifters, cutting gear and other machinery. The Nissan Navara N-Guard special will officially make its public debut at the 2018 Hannover Motor Show. There is no word yet if Nissan will offer the Navara N-Guard outside of the UK. 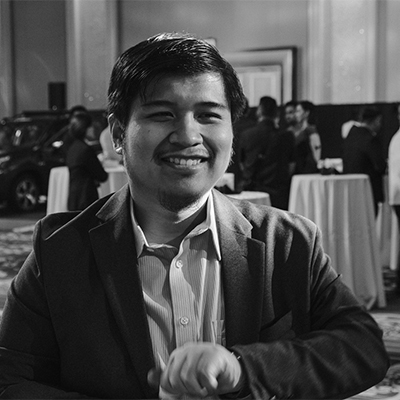 Ford PH Managing Director on PowerShift problem: It's on us, so we'll fix it and move on.